Group buying site Mydala.com offers multiple deals in seven categories including restaurants, health & beauty, travel, lifestyle, fashion, home & baby, and gadgets. The website, run by New Delhi-based Kinobeo Software Pvt Ltd, has seen its user base triple in the past three months, after the start-up raised Rs 9 crore from Info Edge India Ltd, which runs the recruitment portal Naukri.com. 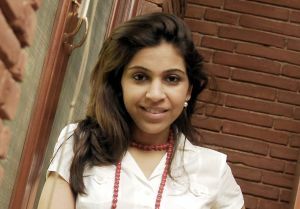 Anisha Singh, Founder & CEO of MyDala, gives Techcircle.in a status update on the website and how the company is innovating within the group buying model â€“ using viral marketing to entice more users online as the online buying spree continues to proliferate in India. In April, 2011, you had one million active users and you have recently crossed the three million mark. But how many of these users are active? Yes, we had one million users in April this year. And most of the three million users we have now are active as well. The current trends indicate that we have around 2.5 lakh unique visitors per day. What is the average number of transactions conducted on a daily basis? How has this grown since January, 2011? MyDala is doing close to 2,500 transactions a day. Since we launched multi-cart where users can buy multiple deals at the same time, our vouchers sale has increased by more than 50 per cent. In April this year, we had Rs 3.5 crore in savings for our users and it is now close to Rs 7.5 crore. Can you tell us about your merchant partnerships? Our merchant partnerships have risen phenomenally over the past few months and we are close to having 10,000 active merchant partnerships. We realise that strong and engaged merchant relationships are vital to our success and we are committed to providing the best user experience at the time of redemption. To that end, MyDala (by virtue of being a group buying site and not a deals site) takes the entire payment up front, which gets results in that we have much more committed merchants who are incentivised to provide good user experience at the time of redemption. What are the latest happenings at MyDala.com? What are the new features you have added? Since localised services were doing well, we launched the MyDala Mall, which gives merchants the ability to create their own stores. And we are now seeing more and more merchants showcasing their products on the site. We also have a section on the site that features pan-India deals. As far as high-cost durables/brands are concerned, we have signed up with new brands and the goal is to provide our users with deals on products/places/services that they will want on a regular basis. Moreover, we will continue to innovate for other products and verticals. Tell us more about the personalisation engine you have built at MyDala. It took us several months to build our personalisation engine and it was done in-house. Personalisation ensures that the user does not get spammed. If you are not interested in restaurant deals, you won't get them. As we have pioneered the concept in India, we constantly innovate and lead the market in building the best experience for our users. What is your take on the e-commerce scenario right now and what are the key trends? Till date, the one industry that has done extremely well in the Indian e-commerce space is 'travel' because of the offline experience it offers. For example, we buy our ticket online but we know that we're going to be on board a Jet or an Indigo plane. This group buying industry provides you the same kind of experience. You are buying a voucher online but you know that it's for a neighbourhood restaurant or a spa that you always wanted to try out â€“ essentially offline experiences. So, the touch-and-feel factor is not missing in this space. As far as Internet usage is concerned, I think we are about to reach the critical mass soon. We recently entered into the top 100 sites in India. What are the primary challenges facing the group buying ecosystem? I think we have a long way to go as far as payment gateways are concerned. In the USA, it's faster to transact online than to stand in a queue and pay. But in India, certain gateways take forever to allow you to transact. And the one-time password on mobile doesn't actually ease transacting on IVR either. We have a lot of group buying sites in India; how do you aim to be different from the rest? Out of the 20 or so sites in the group buying space, only two or three follow the 'group' model. Group buying essentially allows individuals with similar interests to get higher discounts. These discounts were only privy to corporates before but they are now open to one and all. The concept reached celebrity status when it became a viral play, with users referring their friends. Also, since we were taking a full amount, the merchants got those acquired users on a platter. MyDala has stuck true to that model and our growth has essentially been completely viral up until now, where friends have referred friends. We have been completely transparent with the users and the merchants where anyone can see what is sold. Why hide the numbers if you claim to be doing well? What's more, we've always looked at group buying as a springboard to creating a complete marketing platform where you get the best deals in town â€“ not just a daily deal. Our primary focus is to gain the trust of our users and give them the assurance that if the deal is on MyDala, it is an unbeatable one and they should buy it! I think that the features which make us unique are the strong loyalty rewards programme we have, the customisation involved which enables you to see the deals which are relevant to you only, the new merchant stores which allow them to display multiple deals/products and users to view several deal options across the product range and finally, the fact that we have the largest number of deals on MyDala. How is your foray into travel deals working out? Travel, as a vertical, is doing well. We have struck successful deals with industry leaders like Cleartrip.com and MakeMyTrip.com, and also worked with several large and small travel operators. Plus, we have seen adventure travel become extremely popular on our site. What are your key areas of investment for the year? Innovation, of course, and ensuring the best user experience and merchant experience will be our focus areas for 2011. Also, we will spend our money wisely for customer acquisition virally (and not brute marketing), building out our operations (sales, marketing and technology) and enhancing geographical coverage. Plus, we are aggressively focusing on acquiring a loyal user base, as well as a merchant base. What are your hiring plans for the year? We are currently a 75-strong team and plan to be 400-strong by the year-end. We are also building out our operations â€“ sales, marketing and technology â€“ as well as geographical coverage over the next few months.